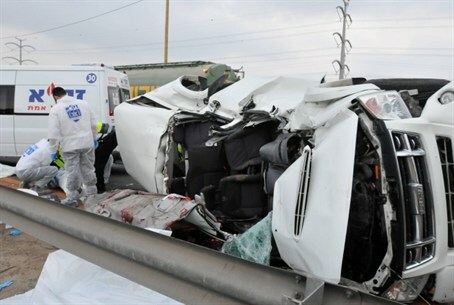 Two IDF Navy officers were killed and two others injured early Wednesday when their military vehicle overturned near Tel Aviv. 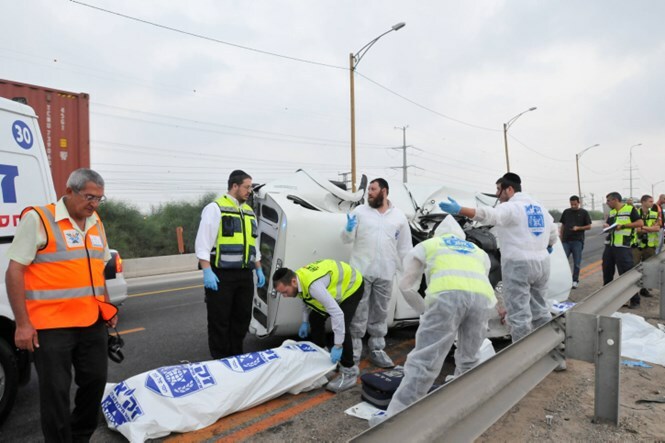 The naval soldiers were on their way back to their base in the port city of Ashdod when their van struck a truck and then went out of control and hit a barrier before overturning near Rishon LeTzion on Highway 4, which connects Ashdod with metropolitan Tel Aviv and Netanya. One of the injured was rescued from inside the vehicle after crying out for help. He is in serious condition at Tel HaShomer Hospital in Tel Aviv. The second injured passenger was found standing outside in shock and also was rushed to the hospital. Two dead officers were 25 and 22 years old. Their families have been notified. The truck driver said he saw the soldiers’ vehicle in his rear view mirror before his vehicle was hit. He called the police after he saw the vehicle behind him hit a traffic barrier and flip over. Police are investigating.